The magical caves of Kullaberg will heat up your imagination as you explore them. Some of them even served as dwellings as far back as the Stone Age. The tour is a scenic guided walk on the southern side of Kullaberg, where we visit two different caves. The walk takes us along the shoreline. 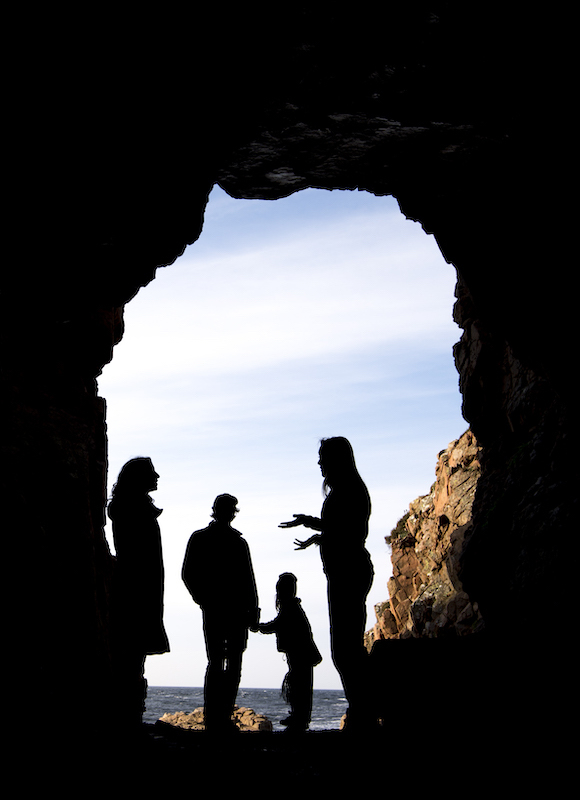 Do you want to discover the caves at Kullaberg? The cave walk is a tour that takes you along the beautiful rocky coast of Kullaberg where you can experience the nature, the sea, the rocks and the caves! The walk goes along the water and is bit by bit rocky and demanding. The trip starts from naturum, the visitor centre, starting at 14:00 every day during the summer. The easiest way to book, use the calendar above, choose a date in the calendar and fill in the number of participants. We recommend that you combine the Cave walk with Abseiling, we then take the equipment with us and finish the tour by abseil ourselves down a mountain wall. Abseiling is booked separately.